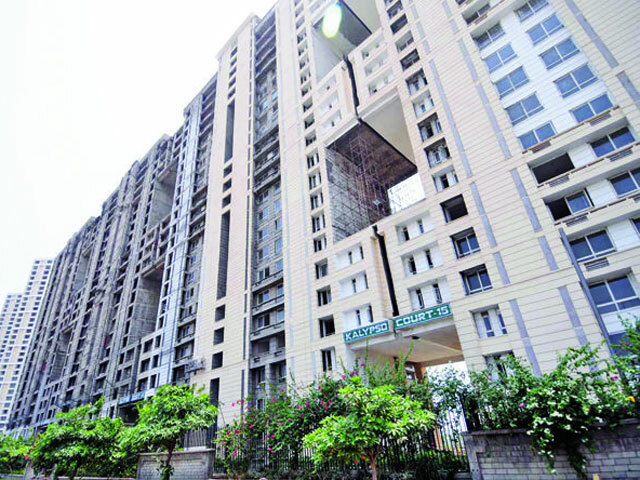 NOIDA: Of the 32,000 flats being built, 6,500 have been handed over and people have moved in. But most are complaining of inadequate infrastructure and are now not sure when things will fall into place. Most have not got their flats, and are at their wits’ end with their money stuck. But life is anything but easy for those who got possession at Jaypee’s sprawling Wish Town complex on the Noida-Greater Noida Expressway and moved in. Of the 32,000 flats planned, Jaypee handed over some 6,500 apartments and the others are in different stages of completion. Many of the 6,500 who got possession have either moved in or rented their flat out. And those who are now living here are a very worried lot: what happens now? Who takes care of the maintenance? Will the lifts function? Will people ever move in here? TOI spoke to several residents at Wish Town, and everyone appeared concerned about the practical details of daily existence. “We shifted here because we had already booked our flat here (but have still not got possession). We knew we would build our life here, so we thought it only practical to shift to a place which was going to be our future neighbourhood anyway . Rents are low as compared to other residential areas, but there are basic infrastructure problems as there are no medical stores, no public transport and no grocery stores. We are just trying to adjust to what the situation is,” said Preeti Sharma, who now lives on rent at Klassic, an apartment block. Of the 32,000 apartments at Wish Town, the ones where people live are painted a shade of yellow. Guards have been posted at entrances and a basic security check has been added at the entrance of Klassic and Kalypso, the two main blocks which are occupied.School buses come to pick up and drop children. The parks and open green areas look maintained. The internal streets are well maintained as well. Parking is not a problem because only a handful of residents are living in these apartments. In stark contrast, the basement of these apartments look dark and deserted. The basement under Klassic Tower 8 was strewn with waste material from construction and sewer water. Opposite Klassic, which appears mostly occupied, a construction site is visible. “The problem of living at a site where construction is going on is that dust continuously enters our apartments. There’s also a continuous buzz of metal and instruments. We are living here because my children are studying at Jaypee School. We are trying to adjust to the conditions,” said Priya Srivastav, a resident. Rusty signboards and under-construction towers are visible all around these few apartment blocks where people stay . Residents say they have to turn in early as they don’t feel safe venturing out late. “Within the society there are guards and there is no problem, but right outside Wish Town one does not feel safe. You need to drive or hail a cab as there is nothing else in the region. Most residents turn in early. We buy our daily supply of milk, bread, eggs and vegetable from a vendor who comes here every morning,” said Prevesh Pallival. “As we had already bought apartments here (but not got possession), we thought of shifting here on rent. Also, with the burden of EMI and rent, we were hoping to shift to our own apartment soon. Now we are no longer sure when we will get our flat,” Preeti Sharma added.